Wacom, designer of premium digital art creation devices, announced on Tuesday a new entry in its Cintiq line of Mac- and PC-compatible drawing tablets, the Cintiq 13HD. In addition to its 13-inch 1920x1080 HD LED display, the Cintiq 13HD features a built-in stand, allowing for adjusting the tablet to flat, 22º, 35º, and 50º angles. The 13HD is also compatible with both Macs and PCs, as with previous Wacom tablets, and it features customizable ExpressKeys and a Rocker Ring allowing for easy function navigation. An integral aspect of the new tablet is its Pro Pen, a digitizer stylus with interchangeable nibs and 2048 levels of pressure sensitivity. Wacom's announcement of the device, though, contains little else in the way of details on the Pro Pen. The 13HD joins the 22-inch 22HD, which Wacom released last year, as well as other offerings in the company's Cintiq Pen Display line such as the 24HD touch and 24HD. While the 13HD requires attachment to a Mac or PC to function, Wacom has also confirmed that it is working on a mobile device. In February, on the company's Facebook page, a post confirmed that Wacom is developing a standalone portable device. Wacom didn't provide much in the way of details, but the company did say it is due out over the summer, and that it will release with "a real pressure-sensitive professional pen, smooth multi-touch, an HD display, and other valuable features that you haven't seen in other tablets." 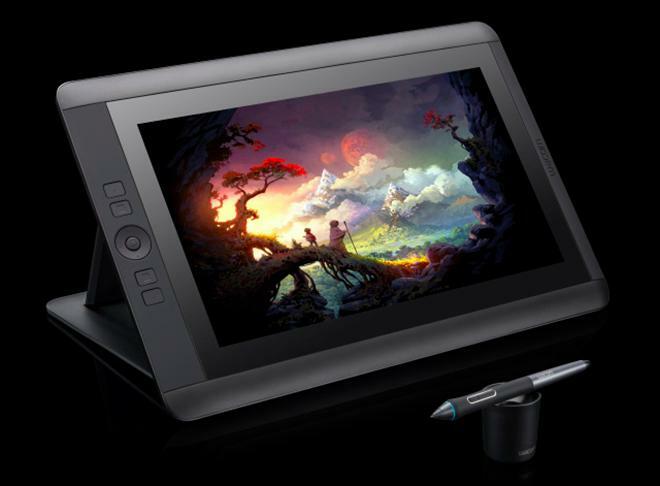 The new Cintiq 13HD will sell directly from Wacom's online store, as well as through a number of select partners. The new device, scheduled to go on sale in the beginning of April, is listed at $1,000.